As church power waned, one of the primary sources of work for artists went with it. Many artists turned to secular patrons, as in this piece that shows how portraiture began to evolve. 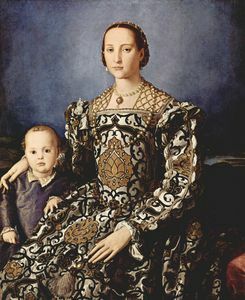 The Medicis pictured here are stylized and idealized, and the formal, distant look of its subjects became a common portrait style.